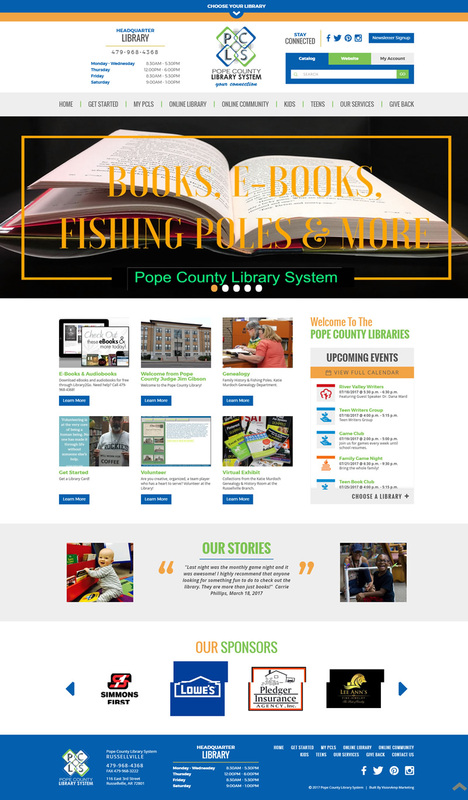 For the new Pope County Library System website, we first looked at ways to organize the enormous amount of information presented through the website. We first created a simple navigation menu with drop downs for users to quickly find what they are searching. We also added small sections of the most popular content in the middle of the home page. The new site is updated with fresh colors, images, and has an overall mobile-friendly website design. The Pope County Library System is composed of four different Arkansas libraries located in Atkins, Dover, Hector, and Russellville.